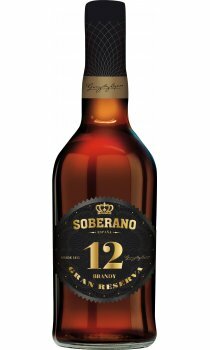 Soberano 12 is a brandy reserva of exceptional quality. Aged slowly in American oak barrels through the traditional 'Solera' system in Gonzales Byass' historic bodega. Soberano 12 is smooth and elegant, with fine oak and caramel notes. Perfect on its own, over ice or in cocktails.